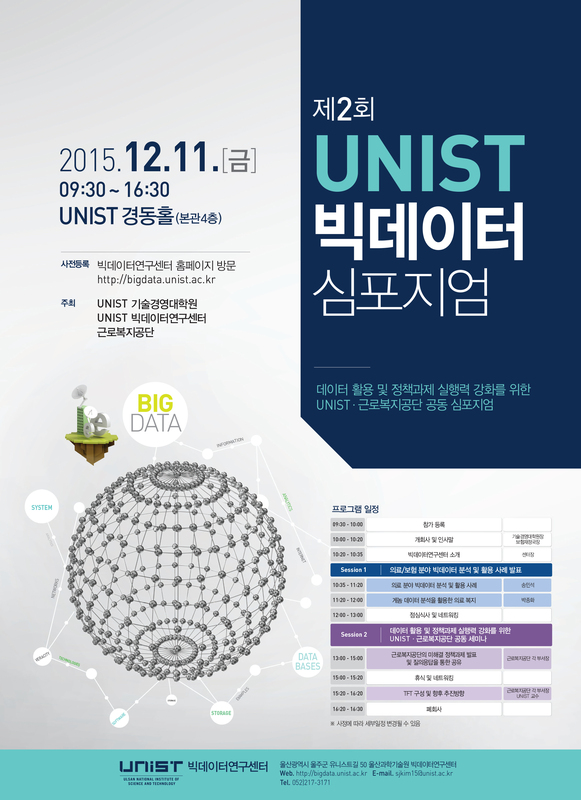 The UNIST-KCOMWEL Joint Symposium on Big Data and Analytics was held on the 11th of December, 2015 at UNIST. 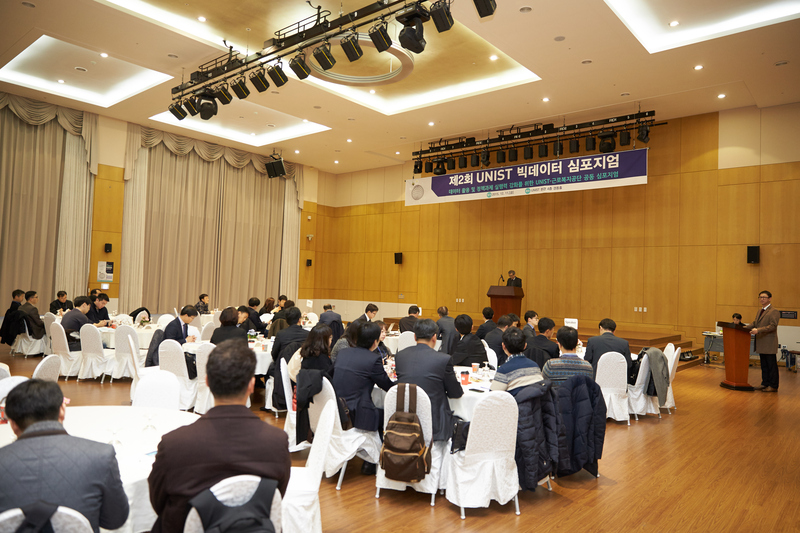 In the afternoon of December 11th, UNIST held a joint symposium with Korean Workers’ Compensation & Welfare Service (COMWEL) on Big Data and Analytics. This is the second symposium, jointly organized by UNIST Business Management Graduate School, UNIST Big Data Center, and COMWEL. 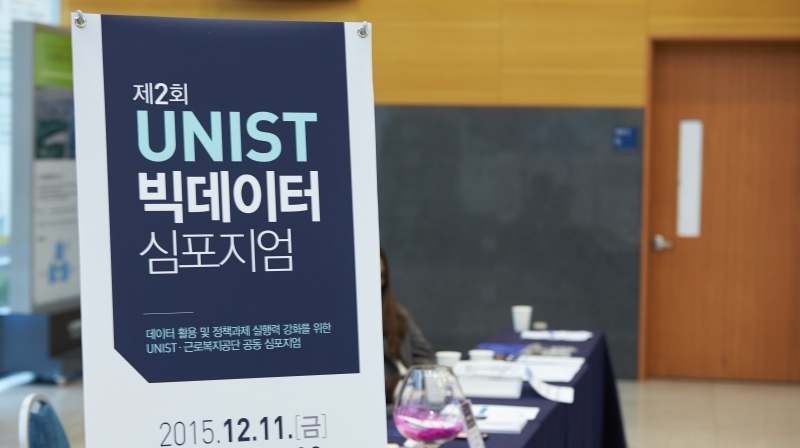 The joint UNIST-KCOMWEL symposium welcomes scientific contribution dealing with Big Data to advance core scientific and technological means of managing, analyzing, visualizing, and extracting useful information from large and diverse data sets. The event was organized around two complementary notions: (1) strengthening collaborative ties in research and education, and (2) implementing Government 3.0 Policy through the active use of Big Data technology. 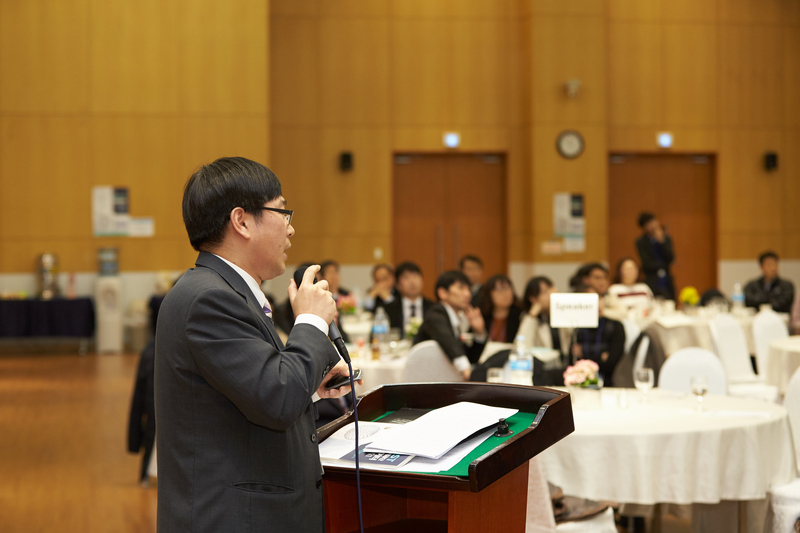 The first session of the symposium was focused on the “The Utilization of Big Data Analytics in Healthcare” where Prof. Jong Bahk delivered a speech on “Genomics and the Role of Big Data in Public Healthcare and Welfare”. 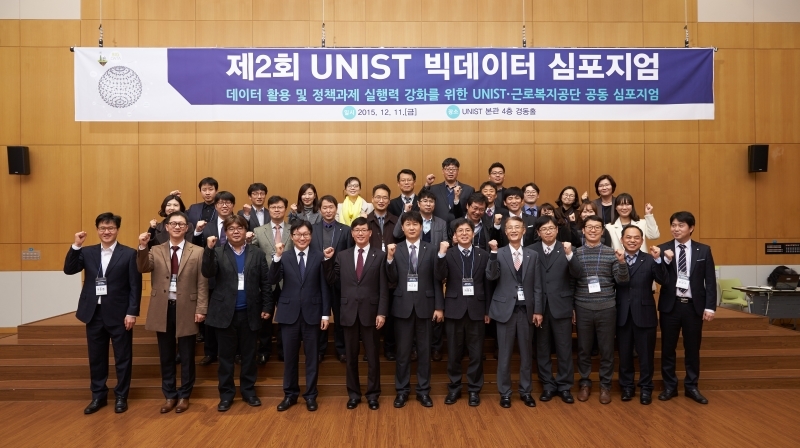 The second session was on “Big Data Applications in the Government Sector” where experts from external cooperation organizations discuss possible ways to strengthen urban management in Ulsan city by making full use of big data technology.